Congratulations to all the players from the KO Finals! Click on the image below to view the full results and photos so far. One of the Ladies Section annual invitation events, with such a strong beginners section this year they had their own competition after the main ladies too! Click on the image below to view the full report and photos. 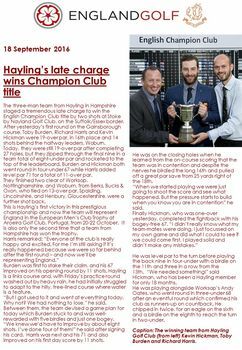 Our Hayling team of Toby Burden, Kevin Hickman and Richard Harris competed at the prestigious Stoke-By-Nayland Golf Club and won the 'Club Champion Title', they now go on to represent England in the next stage in Portugal! 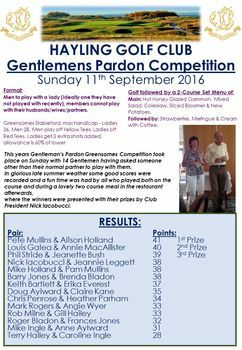 Click on the image below to view the full report, results and photos. 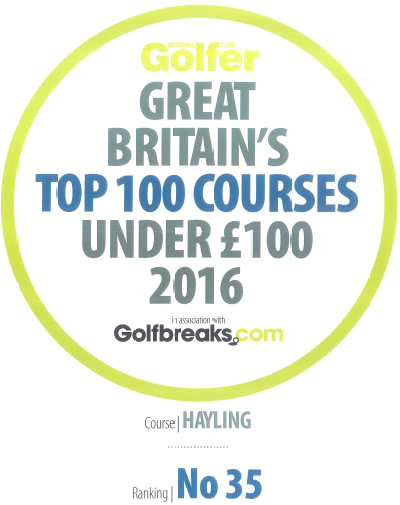 Members were very lucky this year, with a lovely sunny and bright day after torrential rains the day before! Click on the image below to view the full results, report and photos. 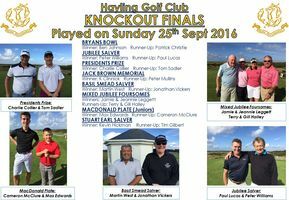 The summer season Wed Roll-Ups have gone to an end for 2016, congratulations to Kevin Orsmby who was the final winner! Click on the image below to view the full results, report and photos. 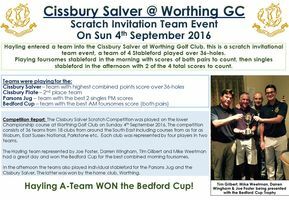 Hayling entered a team into the Cissbury Salver at Worthing Golf Club, this is a scratch invitational team event, a team of 4 Stableford played over 36-holes. Playing foursomes stableford in the morning with scores of both pairs to count, then singles stableford in the afternoon with 2 of the 4 total scores to count. We are pleased to report that our A-Team won the Bedford Cup Trophy! Congratulations! Click on the image below to view and download the full report. 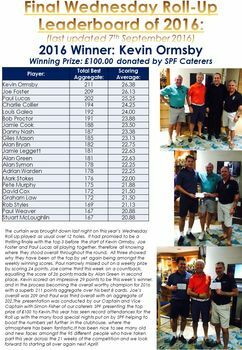 This is one of our prestigious annual invitation only events, the field was full this year and saw some great results despite the rain, with the Hayling Team coming in 2nd. 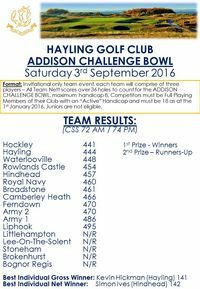 Click on the image below to view the full Team Results. 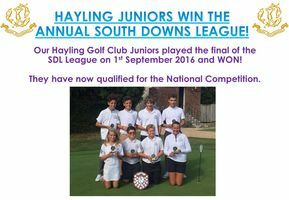 Congratulations to our Hayling Junior who won the SDL League this year and now qualify to play in the National League. Click on the image below to view and download the article. Congratulations to the Royal Winchester ladies who took home the trophy, click on the image below to view the full results and photos from the day.